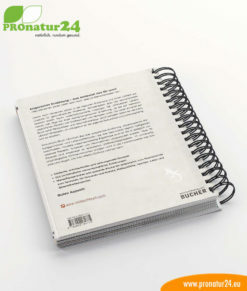 Yes, I want to receive the PROnatur24 newsletter. The newsletter is free. I can unsubscribe at any time via the unsubscribe link in the newsletter. Hyperacidity is the consequence of modern civilization. An acid cell is an ill cell. BASOFIT can help the cells get into the desired alkaline state by creating an alkaline environment in acid cells. Basofit supports an even acid-base balance. Basofit promotes the natural release of pollutants. Basofit is and alkaline drink to neutralize hyperacidity. Hyperacidity concerns the whole body, each individual body cell and not just the gastrointestinal tract. It can generally be said that an acid cell is an ill cell. 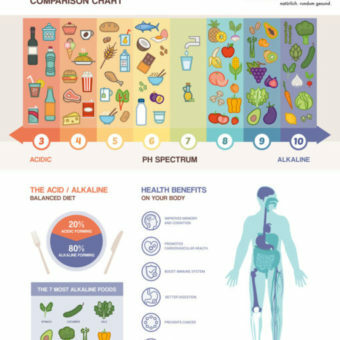 This acid cell can either not take any nutrition, or a considerably lowered amount of it – the same also applies to the attempt to get a balance through alkaline powder. The ill cell is no longer capable of receiving sufficient quantities of alkaline powder. BASOFIT can help bring cells to the desired alkaline state by creating an alkaline environment for the acid cells. Stored acids and metabolic products are broken down quicker and consequently, there is more room for new nutrients. Deacidifying is simple and effective with the help of BASOFIT. BASOFIT gets inside the cell and turns acid cells into alkaline cells. WHY BASOFIT AND WHAT MAKES IT DIFFERENT? The topic here is our modern everyday life, which is already not ideal in terms of nutrition. Unbalanced diets (often fast food under time constraints), job-related or private stress, as well as bodily stress can disrupt the acid-base balance. 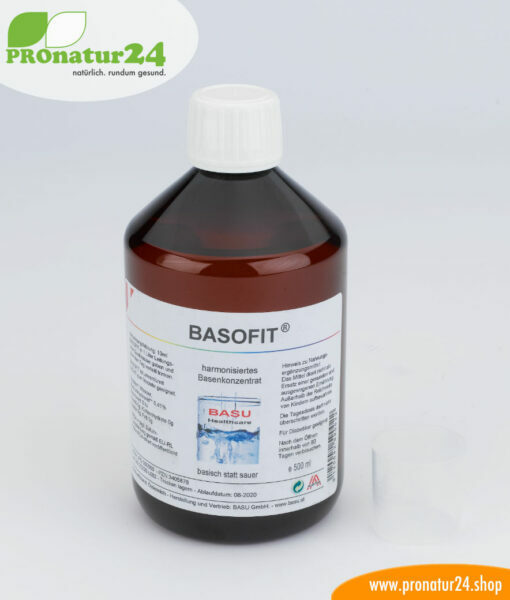 BASOFIT is a quality product without chemical additives and rich in biophotons. The harmonizing structures can reconcile body, mind, and soul. BASOFIT is a concentrate for making soft, clockwise drinking water that counteracts hyperacidity. BASOFIT has small clusters and has a very high bioavailability as a result. Drinking water is newly structured, informed and harmonized. The water’s oxygen content is increased. The high buffer capacity guarantees a high pH value. Positively charged electrolytes promote the cells’ regeneration and durability. Organic and inorganic toxins are eliminated. Cells are better fed and the metabolism is regulated. Water is also an important topic here. Ideally, healthy, clean water with the ability to effectively detoxify the body. Health and vitality begin with healthy water. Water is our essential product and our most important nutrient. All metabolic processes can only take place with the help of water. Water serves our body as a solvent, means of transport and cleaning agent. Water transports nutrients to the cells and pollutants as well as broken down products out of the cells and out of the connective tissue. Drink 2-3 liters of water per day! WATER is the true performer for our health! 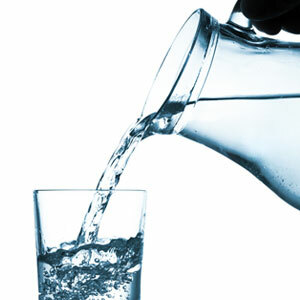 The roles of water for our health are such that we should drink 2-3 liters of water per day. This cannot be stressed enough! 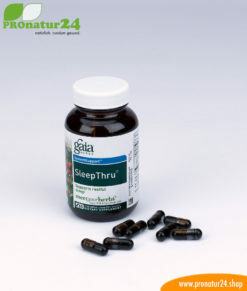 Supplies the cells and connective tissue with nutrients. 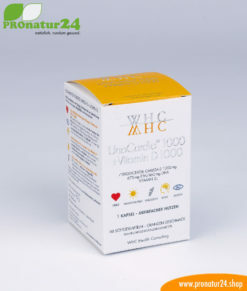 Eliminates pollutants from the cells and connective tissue. 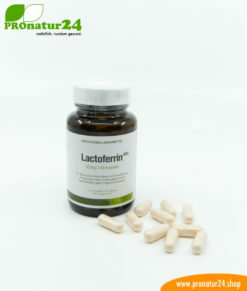 Neutralizes acids to leave them over the kidneys. Many of the bodily functions are controlled by the pH value. BASOFIT is alkaline and has oxygen in the form of very stable OH- hydroxyl ions. Each cell contains water. Acidotic body cells have increased H+ hydrogen ions. BASOFIT can neutralize the positively charged acid H+ ions through the negatively charged OH- ions. This gives the acidotic cells a balance between H+ an OH- ions and they can neutralize free radicals. BASOFIT can penetrate the cell wall and core with its small water clusters. It has the ability to reach body tissue in a very short amount of time. BASOFIT does not neutralize the stomach but carries out the ion exchange in the cells. The existing vital substances are transported directly to the cells and waste products are drained. 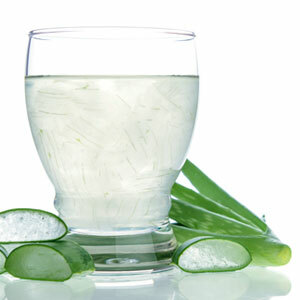 Aloe Vera can also support a healthy diet. There are many factors and reasons that lead to the acidification of the body cells. The majority of programs to improve your acid-base balance come from a change of diet. There are still detoxifying tactics, but they put a heavy load on the urinary tract and intestine. What is neglected, though, is that it is very hard to eliminate acids. BIO fruits and BIO vegetables provide the body with alkalis. But what is truly BIO? Muscle loss, tendon loss – limited agility, joint pains. The body becomes weaker because alkalis are missing. These alkalis are replaced by salts. If the bone substance contains a lot of salts or free acids, its resilience will be lowered – it is easier to fracture the bone. For this reason, weight loss through dieting, for example, is not the only solution. Our organism must release active salts from the deposits and replace them with alkalis. Releasing, neutralizing, diluting and eliminating all acids would take decades if you tried to do it solely with an alkaline diet. In any case, it would take as long as the previous acidotic lifestyle lasted. In order to detoxify, you need 20mg of alkalis from a kilogram of excess alkaline foods (ex: BIO fruit and BIO vegetables) on average every day. The quantity of alkaline foods needed to fully correct all dietary errors would be enormous. By regularly using BASOFIT, this time can be lowered significantly. In order to be able to even the acid-base balance out, you need enough alkaline buffer substances. The body is unable to create alkalis, but it can produce acids. We have to supply the right alkalis for our cells to balance our organism. We do not recommend consuming undiluted BASOFIT. Use the bottle within 90 days after first opening it. If possible, do not drink shortly before or during a meal Basofit can neutralize stomach acid and natural digestion can be impaired by the stomach acid. 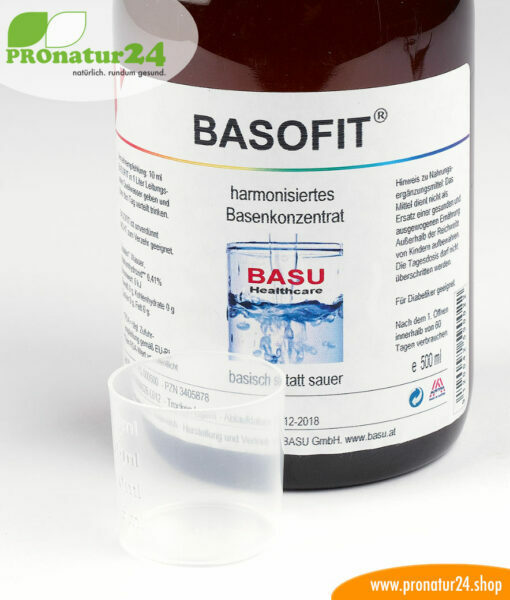 10ml of Basofit is put into 1 liter of water and drunk throughout the day. 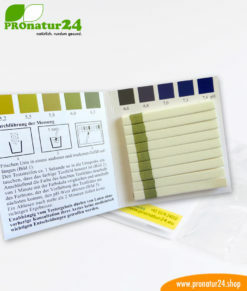 The result is an alkaline drink with a pH value of approx. 9 to 9.2. Please respect the notes on the packaging or label. We do not recommend consuming undiluted BASOFIT. Use the bottle within 90 days after first opening it. We want to make our healthy products available to as many people as possible. We do a lot to achieve this, but we also trust our customers to talk about our products. And we thank them for that with € sums – through this Recommendation Bonus Program. Each new customer that orders with us and is recommended by you is profit for us, and especially FOR YOU! For this recommendation, you will automatically receive a voucher for your own purchases. Just create a customer account and log in. Everything is already done for you. In the customer area, you will find a menu item that says “My recommendations” with all of the details, such as your € Premium and your recommendation link to share. You can pass on your personal recommendation link via e-mail, share it on Facebook, or integrate it into your homepage, blog, or social media pages. Our products are a sensation, and this is one of them. With our Recommendations Bonus Program, this item is now cheaper or even FREE. And this is how it works: below, you will find a personal “Recommendation URL”. This link is the key. Paste this link into an e-mail and send it to dear people who are also interested. Or, share the link on Facebook, Twitter, or Google+. Alternatively, you can take the general Recommendation Link from your Customer Area. If your recommendation is successful and brings a new customer, we will offer you a 5% discount on your next order as a thank you. We have products that are appreciated by many people. Recommend us more and benefit from our gratitude in euros! Tip: Automate your discounts. Integrate your Recommendation Link into your homepage, blog, or social media sites as well. 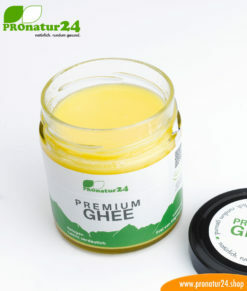 PREMIUM GHEE. Ayurvedic clarified butter made out of 100% hay milk (AT pasture grazing certified). Perfect for low-carb and ketogenic diets. PHYSIOLOGA therapy mattress with stretch effect against back pains. Relief for discs / herniated discs. Average delivery time: 1-3 days. Then register with us as a partner. Benefit from our affiliate & merchant partner program. HERE's the affiliate & merchant section.